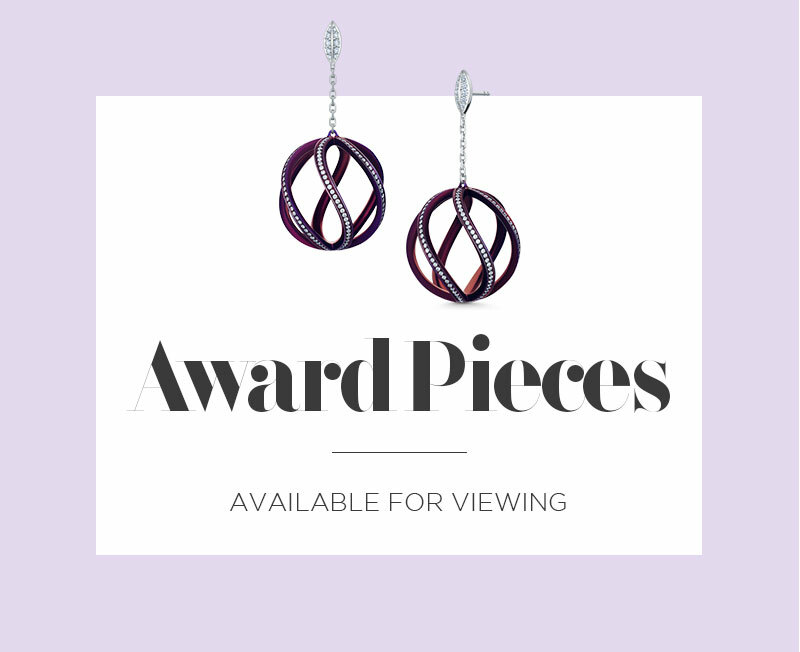 Award winning and landmark pieces by Robin Girling. 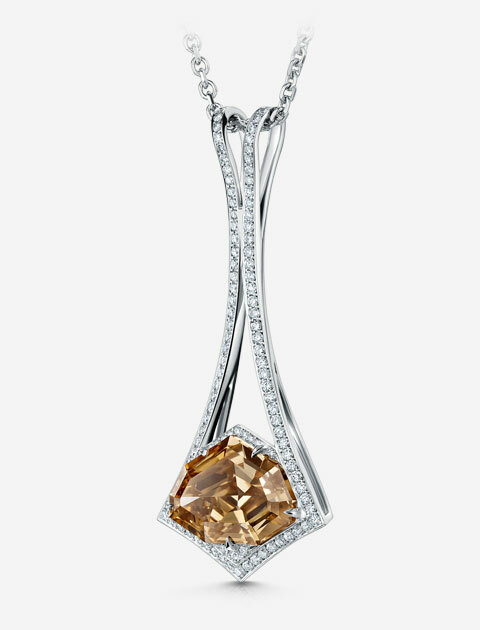 Featuring a 7.25 carat natural cognac diamond, the Cognac Kite pendant combines ultra fine pavé setting in platinum with a large custom cut one of a kind feature diamond. Taking over 300 hours to handcraft, Robin’s Titanium Sapphire Cuff was an incredible and extremely challenging creation to make. 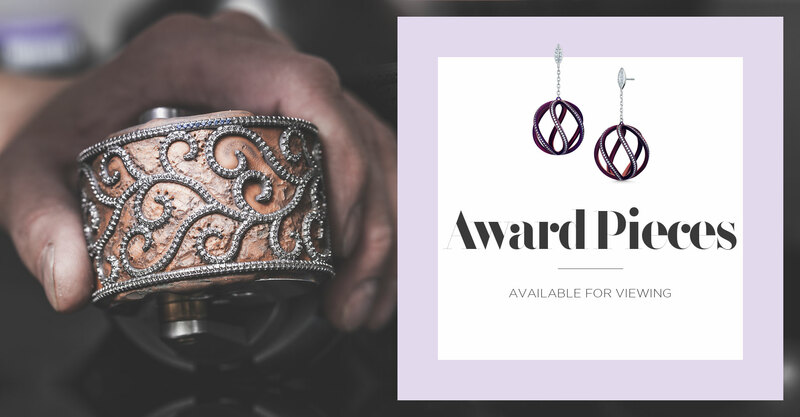 One of Robin’s award-winning creations, an outstanding fine jewellery cuff set with over 1200 sapphires in titanium. 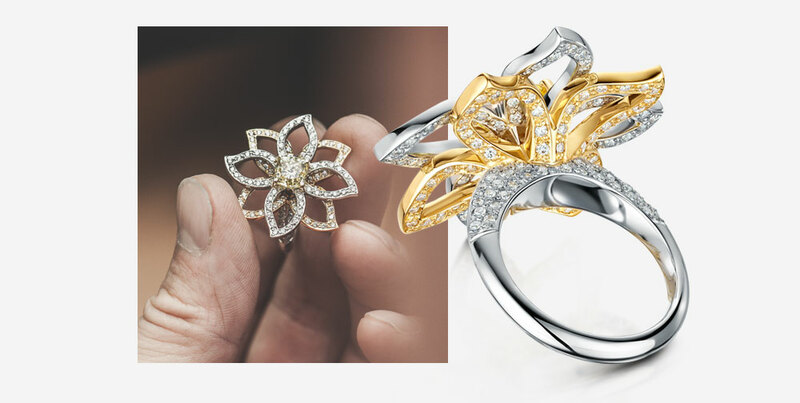 The Lily Ring is an important example of Robin’s work with diamonds set on multiple levels with hidden detail. Creating the Lily Ring back in 2010 marked the start of Robin’s move into more complicated fine jewellery. A beautiful handcrafted butterfly in titanium and 18ct gold, pavé set with over 600 diamonds and sapphires. Awarded Gold at the prestigious GCDC Awards in 2017. This brooch paved the way for several high end private commissions in titanium. One of a kind diamond Skull Ring, handcrafted in platinum and set with over 3 carats of diamonds. An important piece for Robin as it marked the start of a series of more artistic and untraditional pieces. 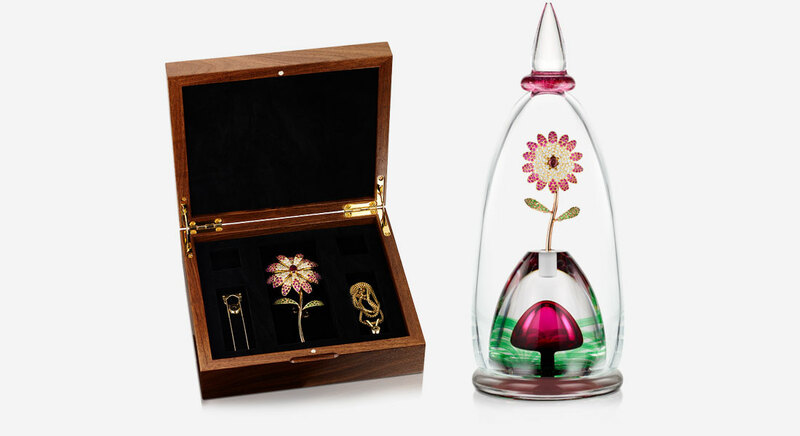 15 carats of rubies, 12 carats of diamonds and central 3.75 carat alexandrite in 18 carat rose and yellow gold, displayed in a unique glass jar. A complicated, interchangeable jewel which can be a necklace, a brooch and O’Bjet D’art featuring a very rare colour change alexandrite. Every piece is designed and handcrafted in-house by Robin.